Now the issue is raising the funds to get them there. 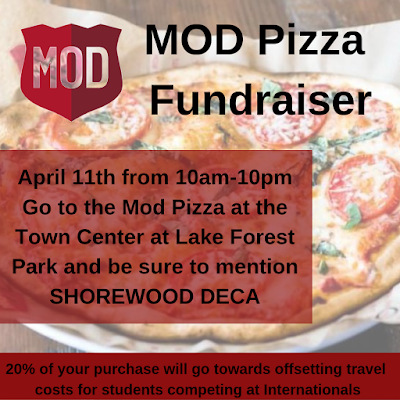 To combat costs, the club is doing a fundraiser at Mod Pizza in Lake Forest Park on Thursday, April 11 from 10am to 10pm. Mod will donate 20% to help offset the club's travel expenses. 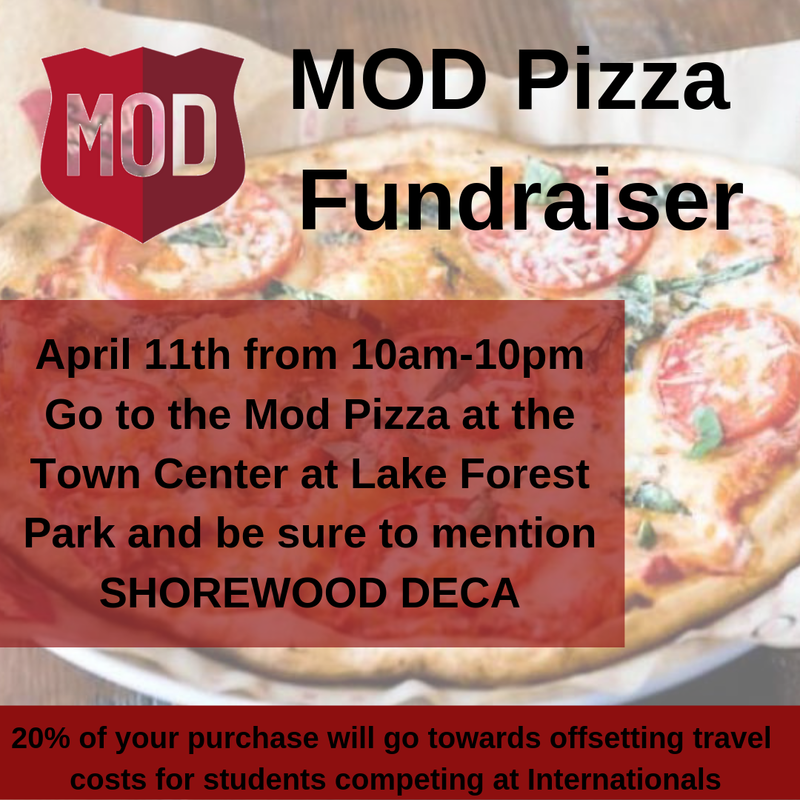 Diners should be sure to mention "Shorewood DECA." Mod Pizza is in Town Center at the end of the lower wing. Town Center is at the intersection of Bothell and Ballinger Way NE. DECA is a marketing club. Students participate in various marketing and business competitions. Their final competition of the year is at the international level in Orlando, Florida.